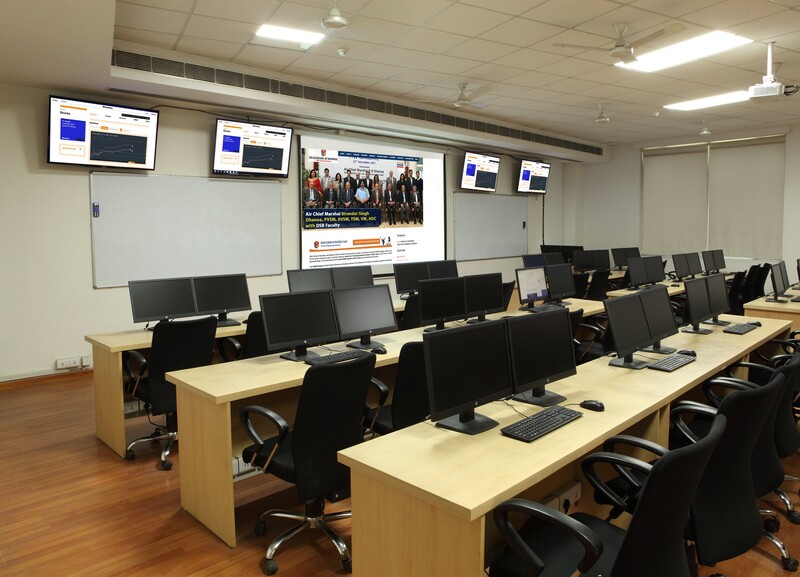 VIPS has a highly sophisticated fully equipped air-conditioned computer lab with high quality peripherals to provide heterogeneous environment for maximum support to the students and faculty members. Workstations of Inter Core i5 2nd Generation HP Computers are connected to high-speed servers (Windows and LINUX NET Server). Licensed software like Oracle, Microsoft Office, Microsoft Visual Studio .NET, Window XP, complete pack of MSDN. Multimedia projector, Slide Projector, Scanners and OHPs. Back up by Multiple Online UPS. Internet Connectivity through a dedicated Leased Line with a backup of multiple ISDN lines managed by Routers and Linux Proxy Server. Fast Internet connectivity in each classroom including library and administrative area. ISDN Modem and Webramp to connect to ISP’s. 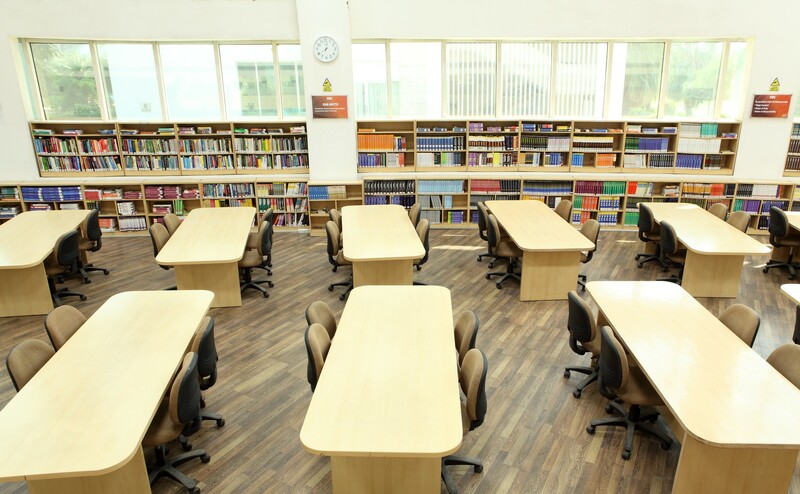 VIPS has a modern specialized well-stocked library up-to-date with a substantial coverage of books on Information Technology, Law and Journalism. The library is fully air-conditioned and computerized with operations like issue and return of books, cataloguing, list of overdue books, reservation of books etc. being done through the computer. The library comprises more than 10,000 books (excluding e-Library books) related to Law, IT and BJ(MC), updated with all the latest editions. e-Library with sufficient titles of digital books on LAW, IT & BJ(MC). Sufficient no. of copies of all the books. A no. of National / International periodicals Journals and Magazines on Law, IT & BJ(MC). Seating capacity of 200 students. VIPS has spacious, well-furnished and fully Air Conditioned classrooms having a capacity of 80 to 100 students. Classrooms have smart, interactive, finger touch white boards. Classrooms equipped with complete modern educational aids like mikes and multimedia projector. 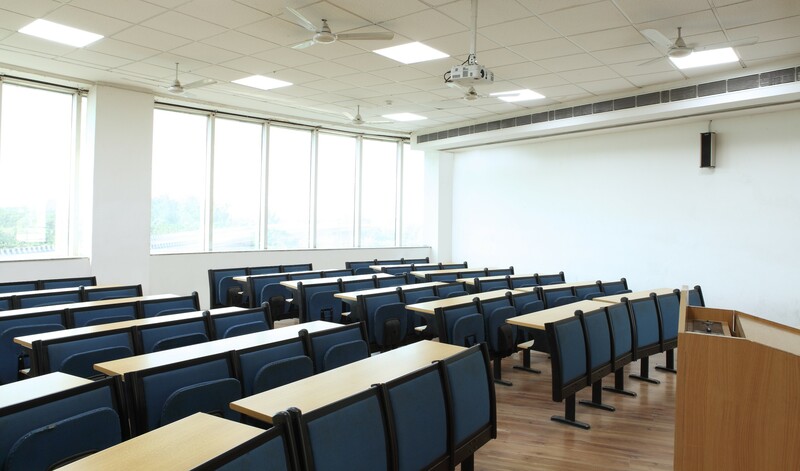 Air conditioned class rooms with adequate ventilation & natural light. Major focus is applying theoretical knowledge to the actual work environment. Teaching methodology includes Classroom lectures, Presentations, seminars, Industrial Training, and Industrial visiy. White & Green boards and state of art furniture. OHPs and multimedia projector for corporate presentations. PA system & Close Circuit camera to maintain discipline.